Over the last decade, studies in rodents and non-human primates have found that exposure to anesthetic agents during sensitive periods of brain development results in widespread neuronal apoptosis and functional deficits later in life. Population-based birth cohort studies have suggested there may be adverse effects on brain development in humans. 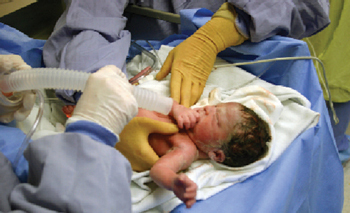 Although the anesthesia community and the FDA agree there are insufficient data to demonstrate a causal link between the use of anesthetics and neurotoxicity in the human pediatric population, the need has grown to communicate accurately to practitioners and parents the current understanding of the risks. On September 10, 2012, the International Anesthesia Research Society (IARS) and the U.S. Food and Drug Administration (FDA) held a SmartTots Scientific Workshop at the FDA White Oak Campus in Silver Spring, Maryland, with the goal of developing a consensus statement regarding the safety of anesthetic and sedative drugs administered to infants and young children. Attendees included over 60 experts in pediatric medicine and patient safety. The Anesthesia Patient Safety Foundation, along with other stakeholder organizations including the American Society of Anesthesiologists and the American Academy of Pediatrics, were represented. Infants and young children often need surgery and other procedures requiring anesthetic and sedative drugs—agents that are used to ensure patient comfort, safety, and health. Data from animal studies indicate harm and raise concerns about the use of these drugs, but the applicability of the results to humans is unclear and many scientific unknowns still remain. Data from human studies are unclear with mixed results; until we have more data, we must proceed with caution. There is a clear and urgent need for more research in this area. To inform clinical decisions, we need to understand key questions such as the mechanism of harm, how to prevent harm, agents in question, and which populations are most vulnerable. Health care providers, including primary practitioners, surgeons, and anesthesia professionals, need to be educated and informed about the potential risks and benefits associated with anesthetic and sedative drugs in children in order to convey the necessary information and conduct the proper dialogue with parents. Until more is known, parents should be made aware of the current data and proceed with necessary surgeries and treatments that require anesthetic and sedative drugs. The IARS, with assistance from a professional marketing and communications firm, is drafting a formal statement including these key elements for review and ratification by the FDA and stakeholder groups. For more information, contact IARS Executive Director Tom Cooper: tcooper@iars.org, (415) 296-6915.